It's your kids favorite animal a dino. 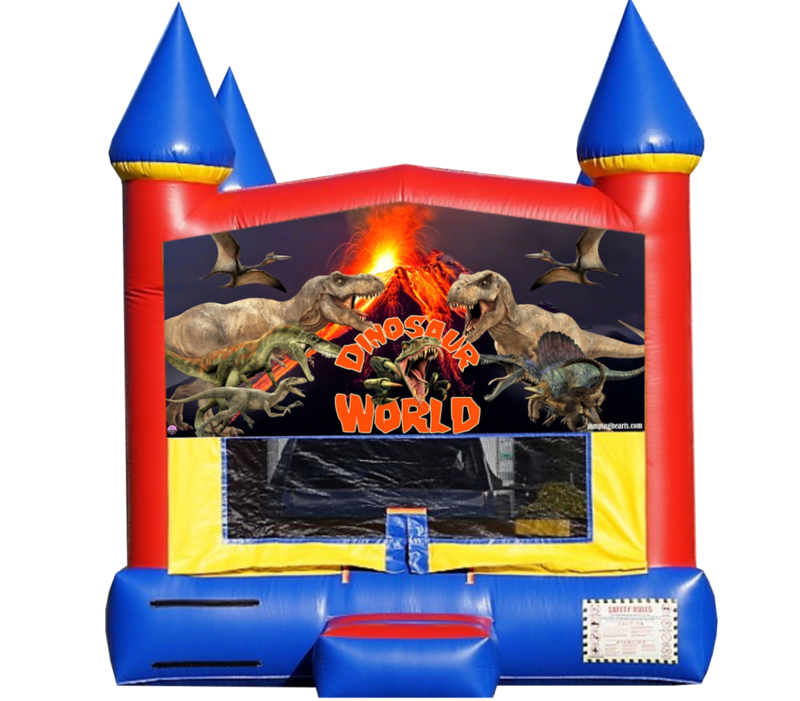 How about make his party awesome with this dinosaur bounce house. 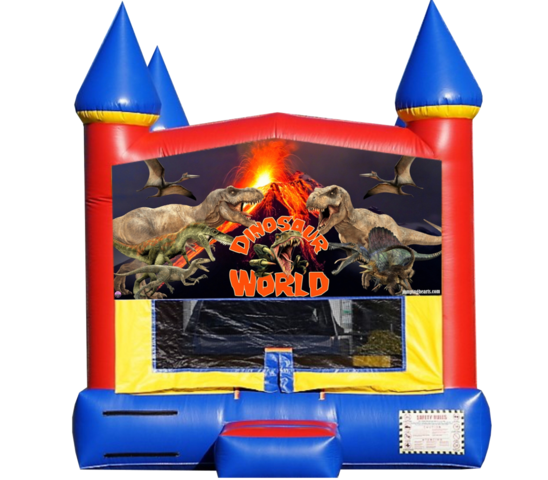 A dinosaur party theme is a great way to celebrate his birthday, picture this great looking dinosaur bounce house in the middle of your backyard with all dinosaur theme party decorations around and his sparkly eyes looking at it... it will be his best party ever! Please don't forget we also offer cotton candy machine rentals, snow cone machine rentals and nacho cheese machine rentals.